The creative team of Jonathan Maberry and Goran Parlov take you on a journey into the darkest territory in this Marvel Knights limited series. A terrible plague has swept the Earth, turning everyone - human, hero, villain, god and monster - into sadistic cannibal predators. As Spider-Man, the Hulk, the Thing and other infected start a feeding frenzy, the world falls in a wave of insatiable violence. Now, five years later, one man hunts the wasteland that was New York City. One man stands against the hordes of monsters who hunt the night. 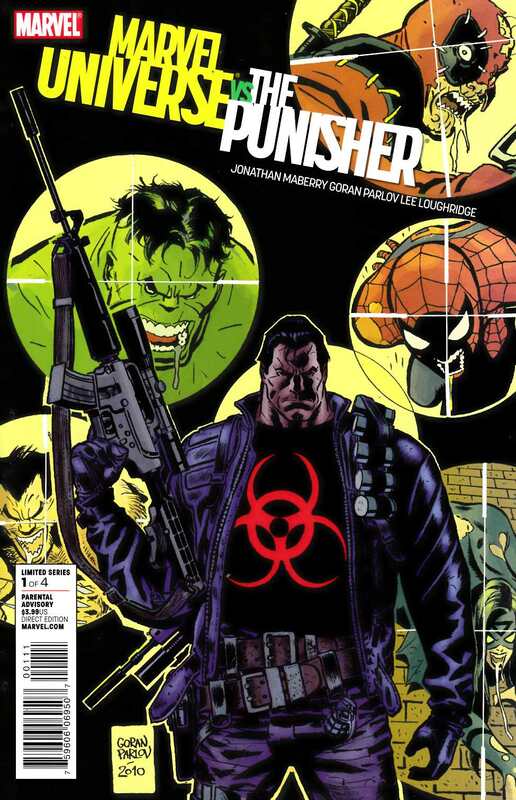 He is the Punisher, the Last Gun on Earth. And he has an endless supply of ammunition.